Every Tuesday and Wednesday during the month of May, we’ll be hosting a gluten-free guest blogger from around the web in honor of Celiac Awareness Month. Today we’re thrilled to welcome Jeanine Friesen from The Baking Beauties, who discusses how the gluten-free diet’s increasing popularity is both good and bad news for those who need to be gluten free for medical reasons. The gluten-free diet has gotten a lot of attention over the past few years. The number of gluten-free products that have become available in the mainstream market is astounding and wonderful. But as awareness grows, there has also been a disturbing trend toward mockery and distrust. Late night TV show hosts and Hollywood writers have caught on that something is going on here and so many of them have turned their sights on us in order to get cheap laughs. 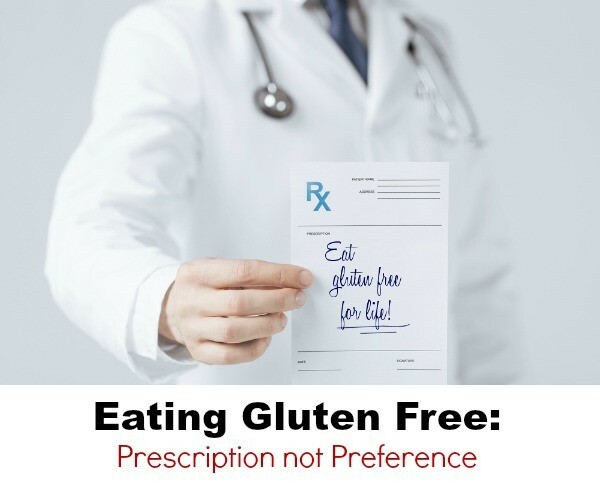 The other problem is gluten-free lifestyles are broadly associated with an entire spectrum of healthful living trends that doctors and research scientists are often very critical of. Celiac disease is a serious problem. 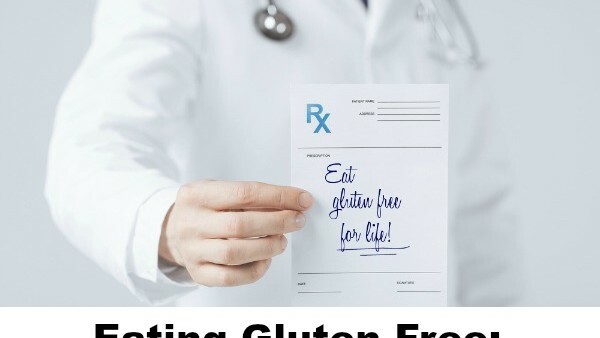 It’s an autoimmune disorder where gluten causes a person’s immune system to attack itself and, based on very good scientific evidence, leads 1 in 133 people on a new dietary path – a life-long prescription of eating strictly gluten-free. There’s nothing funny about it, and celiac disease’s existence has been verified by decades of rigorous science. Currently, the only way to treat celiac disease is with a strict gluten-free diet. But celiac disease is not the only reason someone might be on a gluten-free diet. Many people eat gluten-free to relieve symptoms of wheat allergy, gluten sensitivity, autism, schizophrenia, rheumatoid arthritis, osteoporosis, and Type 1 diabetes. People with joint pain, migraines, and unexplained gut issues have found relief from following a gluten-free diet. The science might not be there to show a link, but these people live the proof every day. Whether you are eating gluten-free as prescribed by your doctor, or are eating gluten-free to feel better, we have all benefited from the boom in gluten-free products and awareness. Along with the benefits, however, there is also a downside. Over the last few years, gluten has become a buzz-word and eating gluten free has become a fad of-sorts. Some people order a gluten-free pizza with a regular beer. The next orders gluten-free pasta, and just removes the garlic bread that was carelessly served along side it. When people in the service industry see this, it makes light of the fact that we need our food protected from these types of cross contamination. What happens the next time someone like me orders gluten-free? Servers may not take me seriously – think I’m making a big deal out of something that isn’t a real problem. Unlike an allergy, ingesting gluten when you have celiac disease does not always have an immediate reaction. This delay often means the restaurant will not see the reaction or any consequences to their actions. Just because they don’t see it, however, doesn’t mean it didn’t affect me. Right now, nearly every grocery store is selling products labelled “gluten-free”. Cereal, granola bars, bread, pizza, pasta – you name it, it’s available. Even large companies are seeing the market’s demand and are adding gluten-free items to their product line. Again, this is great but I want the GF community to be careful. What happens when the fad-aspect of the diet passes? It will. It’s only a matter of time until fad dieters realize that they aren’t losing weight eating gluten-free pizza, cookies and cake. It’s only a matter of time until they realize they are spending four times more on a loaf of bread when they don’t actually need to. When the fad dieters go back to their regular wheat-filled diet – what will happen in the gluten free market? Will companies continue to manufacture gluten-free foods for us when less people are buying? Will restaurants continue to take us seriously and accommodate those who require a diet free from gluten? I hope so, and that’s why we should make sure we keep reminding them that, despite what the late night comedians might say, this issue has a serious side. Food manufacturers and restaurants need to be reminded that, for many of us, eating gluten-free isn’t a choice. We would love to go to their restaurants and not have to ask for special considerations for our meal. We would love to be able to buy their cheaper, more readily available products. We would like them to understand that we aren’t eating gluten-free for attention or to cause them problems. We are eating gluten-free, literally, to save our lives. Whether you are diagnosed with celiac disease, or you are eating gluten-free for other health problems, or even by choice, you deserve to know that the food you are eating is safe for you. With May being Celiac Awareness Month, let’s celebrate the abundance and variety we currently have available to us. Let’s thank the restaurants and food companies who go the extra mile to provide us with those options and, without denying the seriousness of this problem, let’s bring the focus and attention back to the positive aspects of what living gluten free means for us. It’s our prescription for a long, healthy life.